You are about to play the story of somebody who wanted a new start. And they really found it. It wasn't as they expected it to be, but it really was new. 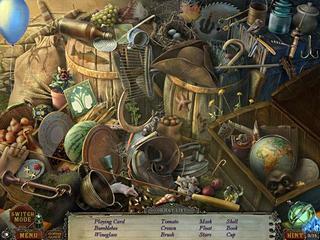 All that is wrapped up in Whispered Secrets: The Story of Tideville, a hidden object puzzle adventure game. The game's general level of difficulty is not very high. Most of the parts are solved easily. You play as a widow who moved into a village with her son. They wanted to start a new life. And they really did. One day she witnesses her sone disappear right in front of her. Isn't that fresh? Well, not for the HOPA players. We observe people disappearing a lot. Anyways, she sets to find her son. And his friend is her helper. All this interesting story is told through some beautiful graphics and really good voice overs. All of the locations both real and less real look very attractive and creat the atmosphere needed for the story. The game's general level of difficulty is not very high. Most of the parts are solved easily. 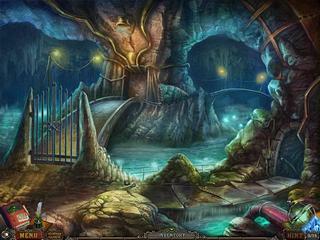 The hidden object levels is one of the major parts. They are interactive with many items on the screen. They are optional, and match 3 can be played instead. There are mini-games to play in between. Those are very easy especially for the more experienced players. There are also some items that you need to look for throughout the whole game. All in all the game is fun and very enjoyable. The only thing is that is not very challenging. I loved this game. The difficulty level suited me fine and I didn't need to keep looking for help to solve the many puzzles. Are there any more 'Whispered Secrets' games? My one complaint is that I couldn't find the bonus game which I was supposed to get after finishing 'The Story of Tideville' IS THERE a bonus game??????????? I am very disappointed over not getting it. This is Whispered Secrets: The Story of Tideville review. Download this game here.